What do a Xenomorph tongue from AVP: Alien vs. 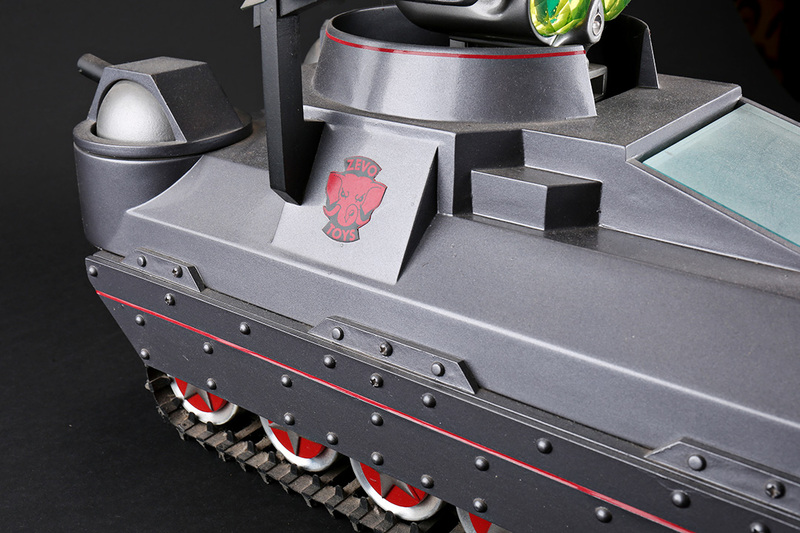 Predator and a Tommy Tank from the Robin Williams comedy Toys have in common? Well, Prop Store is offering both in time for Black Friday! That’s lucky enough for you, since there may not be a better gift on the entire planet for the genre fanatic in your family than this 20+-inch-long, ivory-color alien tongue with grimy silver teeth. In the hit 2004 movie it was made for, tongues are a common motif: the Antarctic Queen, for example, launches hers at Lex Woods (Sanaa Lathan) during their battle to the death. 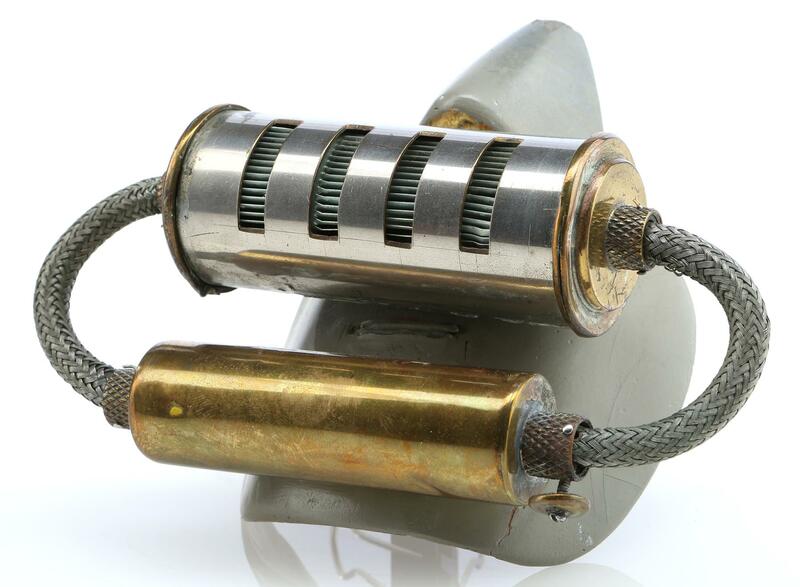 Designed by the Oscar-winning masterminds at Amalgamated Dynamics, Inc. (better known as ADI), this particular tongue (Product #97426) takes the original biomechanical Alien creations of H.R. Giger to newly disturbing places. In addition to being menacing, this piece is also in beautiful shape, with only minor tears around the mouth itself and some faux grime distressing throughout. Its creepy little gills remain wonderfully intact, and the soft silicone has retained an unearthly sliminess since the film’s production 15 years ago. Fans of the Ridley Scott/Sigourney Weaver original and AVP alike will adore this lifelike tongue. If you’re looking for something a little less freaky from Prop Store, it’s hard to top this wonderfully preserved Tommy Tank (Product #96210) from the Barry Levinson-directed 1992 hit Toys. In the film, the dictatorial Lt. General Zevo (Michael Gambon) launches a fleet of Tommy Tanks to fend off Leslie (Robin Williams) and his buddies, who have broken into his Zevo Toys business. The tank is only one of the many small war machines Zevo has built in his quest for world dominance. 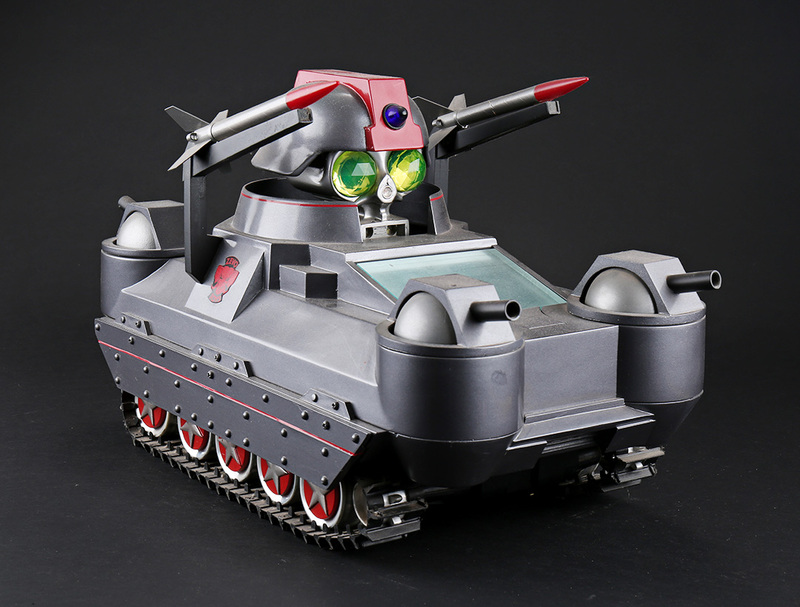 As playful in its look as it is ingenious in its construction, this tank features a grey resin shell with a red, yellow, chrome, and green turret planted on top and two rockets affixed to each corner. It comes with two additional rockets which are loose from the tank – just in case you decide to build a companion piece. And at 20” x 11” x 14”, the piece is shockingly portable, especially when it comes to film history. Both pieces, and more, are now live on the Prop Store website for your holiday gift-giving. Follow us on Twitter and Facebook to be the first to know about all current & upcoming Prop Store Auctions and more! Enjoy our Black Friday Promotion and Happy Holidays from all of us at Prop Store! The information you share is great. I will buy on Black Friday to enjoy the incentives. Thank you. Great collection for black Friday! Xenomorph tongue looks really awesome! I missed this event like I missed an opportunity tobuy a research proposal service with a discount on my favorite site. Luckily the prices are ok the whole year. Thanks for Facebook link! I will follow for all events and news. on the day of Black Friday. It is a good opportunity for students to get cheap service on holidays.